It may not be supported everywhere just yet, but it's a great progressive enhancement, it's implemented in a good/smart/standards-compliant way, so it's safe to start using. Just like prefers-reduced-motion! 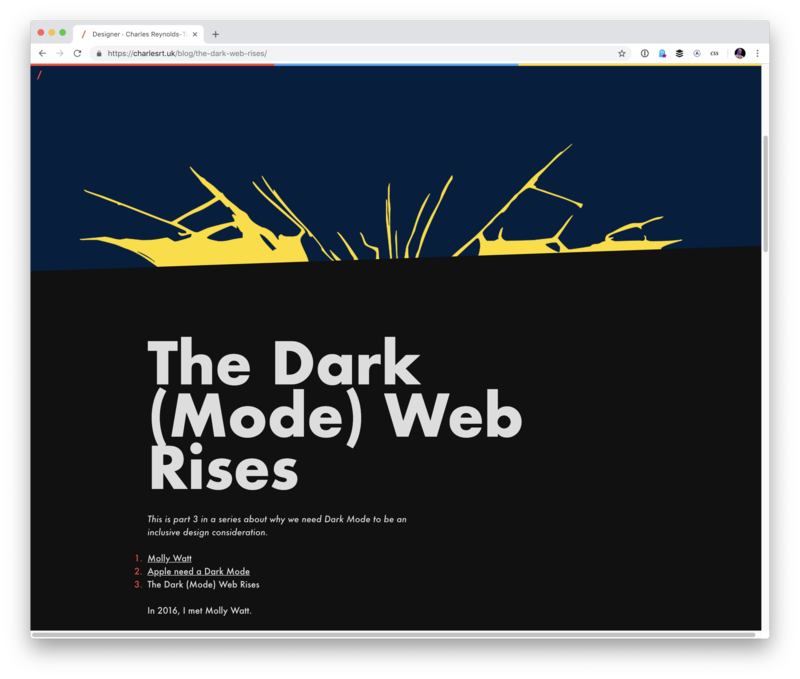 In the code above, Mark detects whether the user has dark mode enabled with the media query and then makes the images darker so that they match a dark background. This reminds me of an excellent post by Marcin Wichary where he explores a similar technique and goes one step further by adding all sorts of filters to make sure they have a much higher contrast. 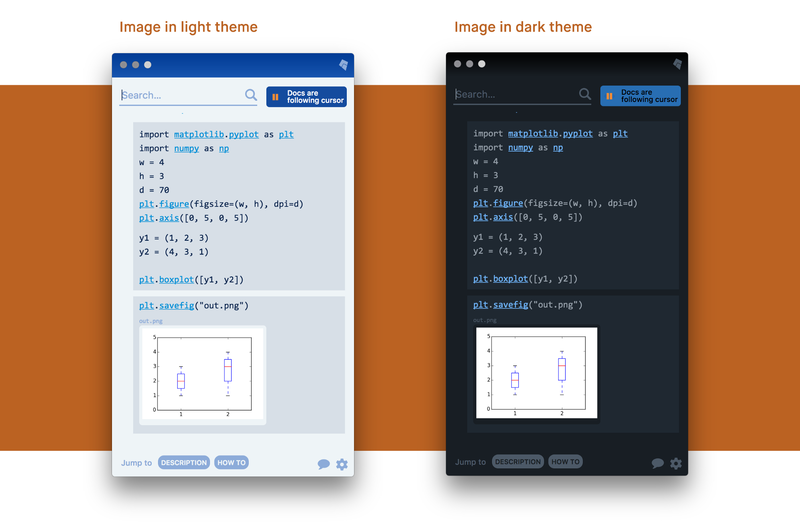 Designing for dark mode shouldn’t stop with choosing darker colours. You should also consider altering typography styles to maintain readability for people who use dark mode. 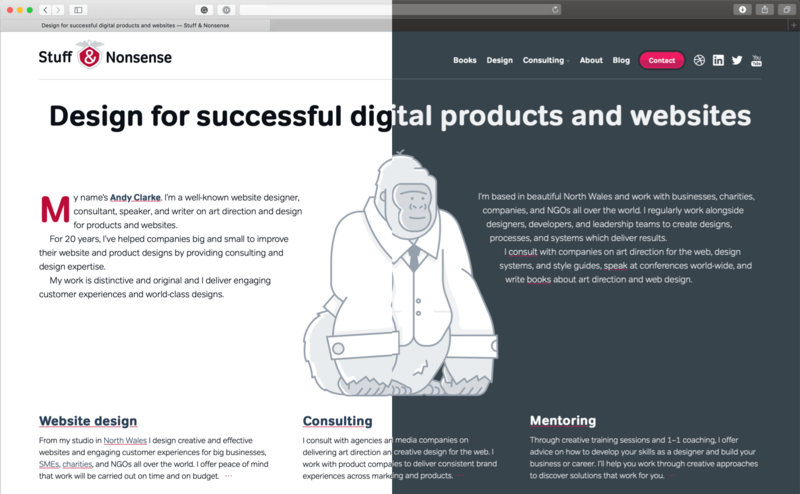 Light text against dark backgrounds appears higher in contrast than when the same colours are used in reverse, so to make your dark mode designs easier to read you’ll need to add more white/dark space to your text. What was that? It sure sounded like the joyous applause of typography nerds and designers everywhere! So what other values are supported? I guess light? What about salmon? I think something like high-contrast would be great too. Along with prefers-color-scheme, there’s a separate (proposed) feature called prefers-contrast, which would take care of the high contrast preference. prefers-color-scheme only has the allowed values of no-preference, light and dark. No salmon on the menu! Aw shucks, but I like salmon! Anyway, thanks Bjorn (also for pointing at the spec). Is/will there be an official spec for this? Without consensus this could get out of control. That’s what we’re curious about too! So far, it’s proprietary to WebKit.